246 in stock Need More ? 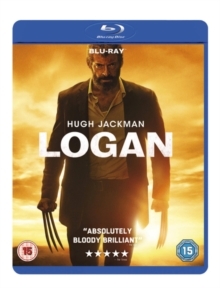 Hugh Jackman reprises his role as Logan aka Wolverine in this tenth instalment in the 'X-Men' franchise, following on from the events of 'X-Men: Days of Future Past' (2014). It's the year 2024 and Logan's age is finally catching up with him, with his ability to heal rapidly slowing. When Professor Charles Xavier (Patrick Stewart), whose advancing years are also causing issues with his abilities, tells Logan of a young girl, Laura (Dafne Keen), who has been cloned from Wolverine's DNA, they realise that she may be their only hope of saving the world from the evil corporation that is set on destroying everything in its path. The cast also includes Richard E. Grant, Stephen Merchant and Boyd Holbrook.